HIT! 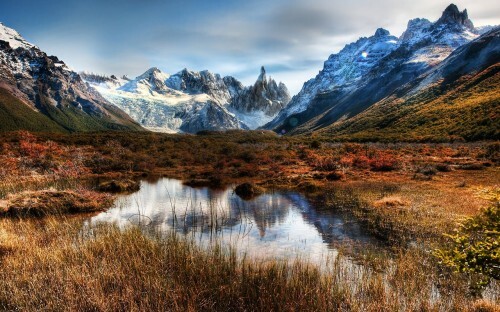 Cheap flights to Buenos Aires in Argentina for only €478! Alitalia just launched amazing promotion on flights to Argentina. 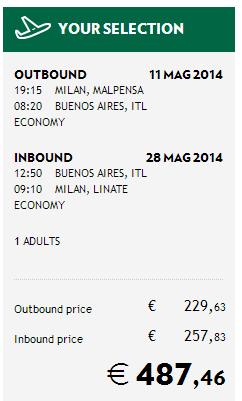 Return flights from Italy to Buenos Aires are available from only €478! You can choose to fly from basically any Italian airport except of Rome including Venice, Torino, Napoli, Pisa, Firenze, Genova, Ancona, Milano, Verona, Bologna or Trieste. The cheapest departures are from Genova but other airports may be maximum few Euros more expensive. Travel dates are until end of June 2014. Booking must be made before end of April but the seats are limited so you better hurry up! Buenos Aires is very huge city and provides wide range of accommodation options from very cheap hostels and simple hotels to luxurious international hotels for incredible prices. You can for example try this stunning 4* hotel with swimming pool for just €33 for double room. « 5 days vacation in Gran Canaria, flight and transfer for €139!